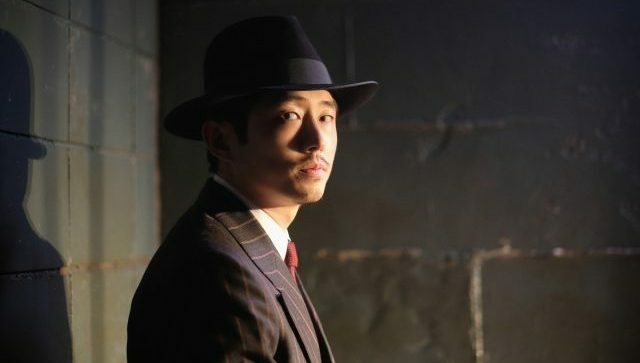 CBS All Access has released the promo for The Twilight Zone episode four titled “The Traveler,” which stars Academy Award-nominated actor Greg Kinnear and The Walking Dead alum Steven Yeun. The new episode will be available for streaming on April 18, exclusively on CBS All Access. Hosted by Jordan Peele, you can check the video in the player below. Oscar winner Jordan Peele’s reimaging of the classic sci-fi/horror anthology features an ensemble cast that consists of Peele (Get Out) as the host, Seth Rogen (Invincible) Greg Kinnear (Brigsby Bear), Kumail Nanjiani (The Big Sick), John Cho (Searching), Ike Barinholtz (Blockers), Taissa Farmiga (The Nun), Ginnifer Goodwin (Once Upon a Time), Luke Kirby (Glass), Sanaa Lathan (Family Guy), Adam Scott (Ghosted), Rhea Seehorn (Better Call Saul), Alison Tolman (Fargo), Jacob Tremblay (The Predator), Jessica Williams (The Incredible Jessica James), DeWanda Wise (She’s Gotta Have It), Steven Yeun (The Walking Dead), Zazie Beetz (Deadpool 2, Joker), Betty Gabriel (Get Out), Percy Hynes White (Gifted), James Frain (True Blood), Tracy Morgan, Seth Rogen (Long Shot), Chris Dowd (Bridesmaids), and Amy Landecker (Transparent). The original The Twilight Zone took viewers to another dimension, a dimension not only of sight and sound but of mind. Created by Rod Serling, it was a journey into a wondrous land of imagination for five years on CBS, from 1959-1964. The godfather of sci-fi series, the show explored humanity’s hopes, despairs, prides and prejudices in metaphoric ways conventional drama could not. RELATED: Check Out the New Trailer for Jordan Peele’s The Twilight Zone! The new Twilight Zone series is produced by CBS Television Studios in association with Peele’s Monkeypaw Productions and Simon Kinberg’s Genre Films. Jordan Peele, Kinberg, and Marco Ramirez serve as executive producers for the series and collaborated on the premiere episode. Win Rosenfeld and Audrey Chon also serve as executive producers.